My latest column on DemandGen Report, “Why Demand Generation Shouldn’t Be Focused on Marketing Qualified Leads,” appeared today. We’re at a crossroads in modern B2B demand generation. Yet a 2011 joint study by Vorsight and The Bridge Group noted, “On average, Sales Reps report that only 31% of all leads generated fit their Ideal Customer Profile. Said another way, Sales Reps believe roughly 70% of the leads they receive have a low probability to purchase.” And data from a recent IDC Technology Marketing Barometer Study indicates that year-over-year, between 2011 and 2012, our marketing and sales alignment around demand generation has actually gotten worse. The column looks at our challenge as B2B marketers aligning with sales and maintaining a strategic focus on revenue, and it examines how this relates to our frequent over-focus on marketing qualified leads (or MQLs, a term coined by SiriusDecisions) in our demand generation programs. As always, I appreciate your feedback on the piece. The inspiration for the book is literally the years spent as a B2B marketer saying to myself, “There’s got to be a better way.” And so I wrote the book as a modern handbook for B2B marketers to navigate the complex, new world of Buyer 2.0, sales/marketing alignment and marketing automation. The book provides a framework to help B2B marketers transform their demand generation approach – moving from a legacy of batch-and-blast mass marketing and of reactive ‘sales support’ to a new state of building perpetual, buyer-centric programs that contribute to predictable and sustainable revenues for their organizations. I’m also excited to share some early reviews of the book by some pretty well-respected names in the marketing and sales arena. A must-read book for B2B marketers ready to drive bottom-line results and truly deliver marketing ROI through better management of the complete purchase funnel. Balancing the Demand Equation provides guidance on marketing’s increased role in educating, engaging and nurturing sales-ready leads in today’s world of marketing operations, automation and outcome-based metrics. Finally! A roadmap to help B2B marketers understand the modern buyer and pioneer successful, customer-centered demand generation programs. This is a very smart book on a very important topic. Anyone who knows much about B2B marketing knows that almost everything written on it is just a round-peg-square-hole ‘fit’ of B2C knowledge, or a worked-over sales management PowerPoint deck. They also are real slogs to read. Not this. Needles’ book is a new paradigm, and one that fits perfectly with the new realities of commerce. 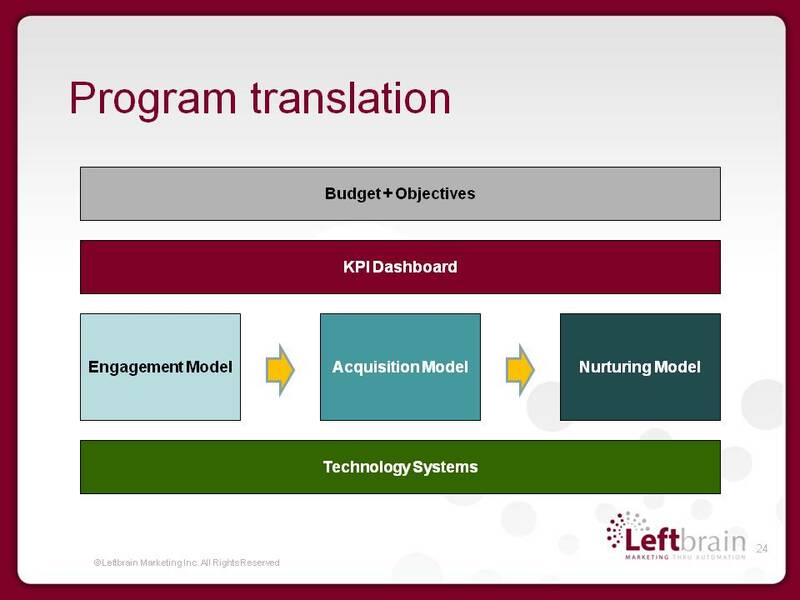 This is sophisticated analytics, content creation and REAL customer relationship management. If a company were to seriously adopt this model, they would make a lot more money. No kidding. Dear B2B Marketer: Your world is changing, and here’s the field guide that shows you precisely how to adapt. In Balancing the Demand Equation, Needles weaves together a well-crafted B2B demand generation framework, at both the strategic and tactical level, that shows executives a clear path to more-predictable and more-sustainable revenue outcomes. Grounded in case studies and detailed research, the book provides specific guidance and critical insights for getting the most out of marketing automation investments, while never losing sight of the strategic change towards buyer-centricity. Sincerest thanks to these folks for taking the time to review — and in some cases even contribute to — the book. And I look forward to your own feedback to the book over the coming weeks! For those of you that have been following my B2B demand generation book project over time, I wanted to check in with a quick update … and a request. 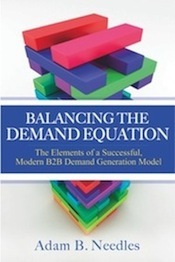 Balancing the Demand Equation, as I’m currently titling the book, will be an in-depth look at the keys to succeeding with modern B2B demand generation. It will help B2B marketers truly understand how to balance educating the buyer with achieving repeatable, sustainable delivery of leads and revenue. And I believe it consequently will help B2B marketers take their game to the next level. Moreover, as you would expect from me, it’s backed by 18-plus months of serious research and thought about the model. So it’s comprehensive and thorough, but I also think the core model and principles are quite simple. So it’s highly digestible, as well. The request: I’m featuring in the book a select group of B2B marketing organizations that ‘really get it.’ More than case studies, I want these examples to really prove that it’s possible to take your B2B demand generation game (and science) to the next level. I am putting out an open invitation to nominate best-in-class demand generators — i.e., B2B marketing organizations that are truly proving the potential today of 2.0 demand generation techniques — through evolution in their content marketing, their lead management processes, their nurturing logic and their use of marketing automation technology. How can you nominate a best-in-class B2B demand generator? One, drop a comment below nominating the specific organization and/or specific marketer. When you do so, I’ll also get your contact information (which won’t be public), and then I can follow up with you directly via email. Two, use the contact form on my blog to send me a note, and then I can also follow up with you directly via email. Three, DM me over Twitter, and I’ll share my email address so you can send me a nomination directly. I need nominations to be in by end of March, so that there’s time to include everyone. As always, thanks for your support and encouragement on this project. It’s been a long time in the making, but I think it’s a better book today than it would have been six or twelve months ago. I’m going to be proud to share the final product with you. And I look forward to your nominations! A little over a week ago I published my latest post on the DemandGen (r)Evolution blog – “Dreamforce 2010: Demand Generation Insights ‘from the Cloud’” – a round-up of my takeaways from this year’s Salesforce.com Dreamforce event in San Francisco. An obvious initial response is that Salesforce.com has emerged as one of the dominant – and one of the fastest-growing – CRM platforms in the marketplace. That alone earns it some attention. “B2B buyer insight is more-pervasive, more real-time and more-accessible via ‘the cloud,’ and marketers must learn to leverage this dynamic asset.